It’s Open House time at Butler Hyundai again but this event is different from the others in that it’s also doubling as the soft grand opening of our new showroom! It’ll be the same, though, in that we’ll offer great food, quality raffle prizes (for free!) and all of our sales and service staff to answer your questions and help you get to know your vehicle inside and out. RSVP by Monday, August 18th… and bring a friend! 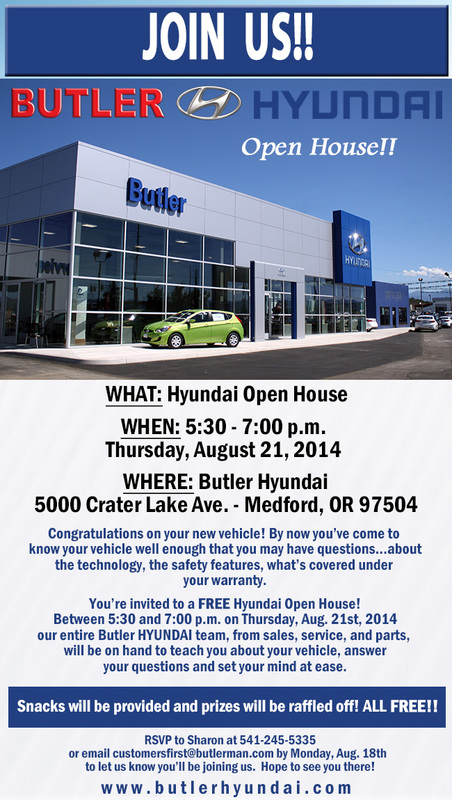 Previous Previous post: Phase One of Butler Hyundai Construction is Complete!